Understanding what’s happening in soils can be difficult – there’s only so much you can tell by looking at them. Yet soils are a hugely important part of our natural capital, and the activities of the soil organisms deliver a wide range of ecosystem services, from rebuilding the soil structure and preventing flooding, to helping control pests and diseases and reducing the need for pesticides. To help farmers understand their soil better, I took a mobile soil lab to Catchment Sensitive Farming workshops around the country. At these workshops I used “kitchen science” demos, encouraging farmers to take an interest in their soils, in turn saving them money and achieving sustainable crop production. 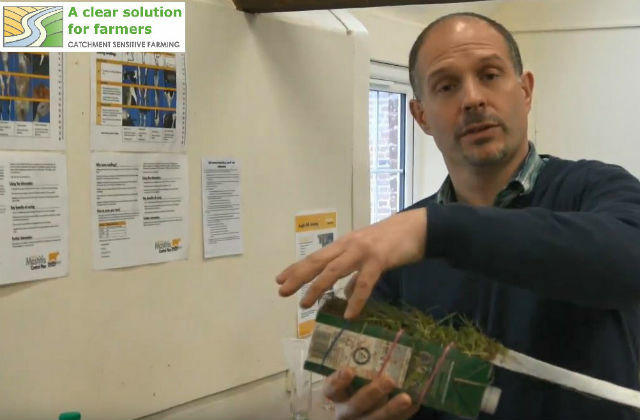 Working in partnership with Catchment Sensitive Farming and the Ernest Cook Trust, Innovation for Agriculture has produced the Learning from the Land video series. Each video focuses on a different activity you can do to get an idea of the health of your soil. Now you can do these activities in your own home. The whole Learning from the Land series is available to watch now on YouTube. Get involved on social media using #learningfromtheland and #WorldSoilDay. Matthew is a soils specialist in Natural England. He is now working on a wider series of “lesson plans” covering a wider range of soil exploration activities and helping to organise an event on “Communicating Soil Biology” in January 2019 with the Association of Applied Biologists’ Soil Biology Special Interest Group in Berkshire.